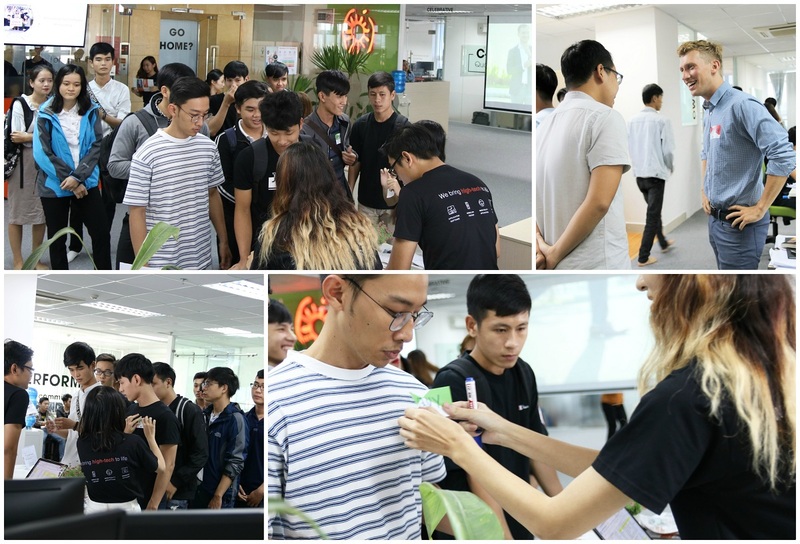 About 120 talented students in Danang have visited the office of Sioux High Tech Software on 2 Sioux Open Day events this October. The students were given warm welcome by the organizing team and speakers with net-working talks and beautiful gifts. First, the tours began with the presentations by company’s managers about the Sioux High Tech Software including the history, competencies, markets, benefits for our employees and contributions to the sustainable development of the society. Second, in the office tour, students easily realized that each meeting room has different unique names named after our Sioux’s values. The purpose is to remind our employees about Sioux’s essence every day. Sioux HTS is full of interesting corners such as river view library, pantry with a lot of snacks and drinks, GYM machine, table soccer, the standing table, connective lunch area,.. to serve employee’s welfare most. All the students were so impressed that they expressed their interest to be a part of Sioux. Third, the previous interns shared and gave valuable advice about their meaningful internship experience, which made them develop strongly in both technical and soft-skill by doing real interesting projects and being under mentorship & training. 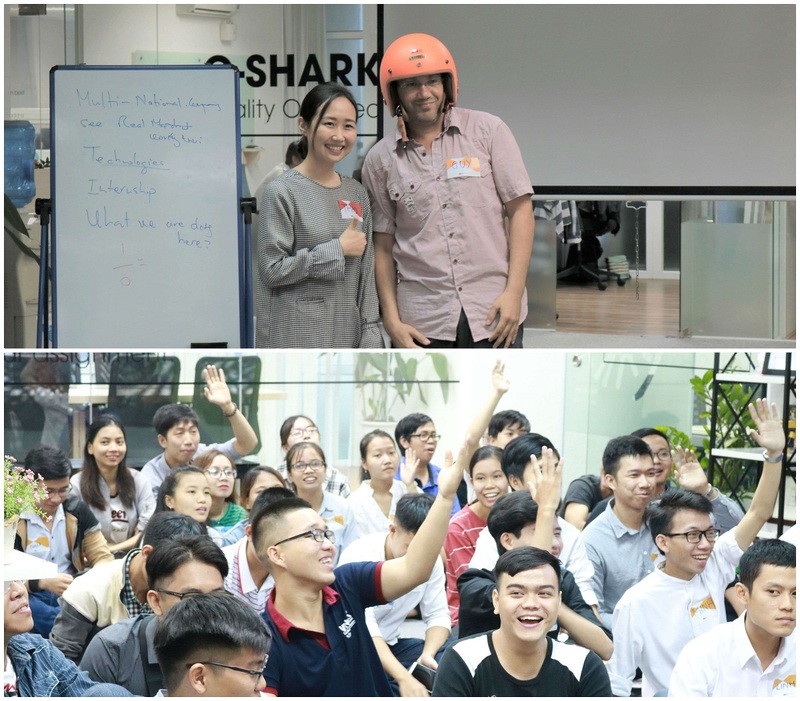 In the next part, students took part in a very competitive quiz session with lots of gifts like helmet, t-shirt…, and were also given the information of internship program with cool benefits. 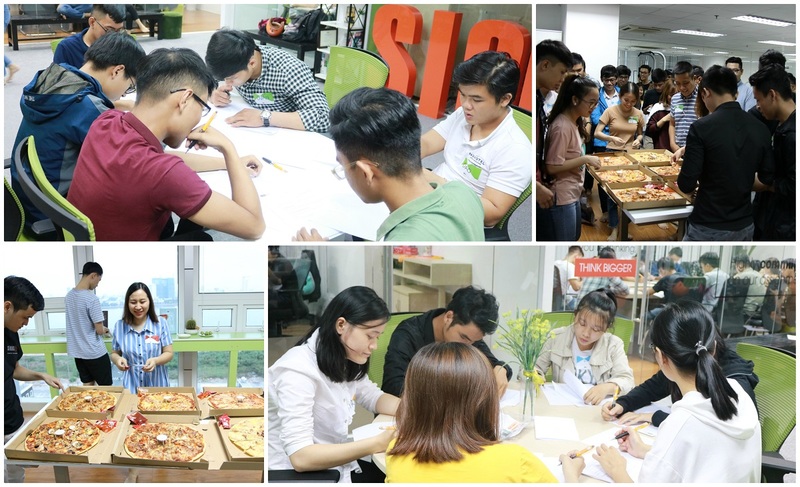 After that, everyone enjoyed tasty pizzas to recharge the energy and tried out software engineer internship paper test. 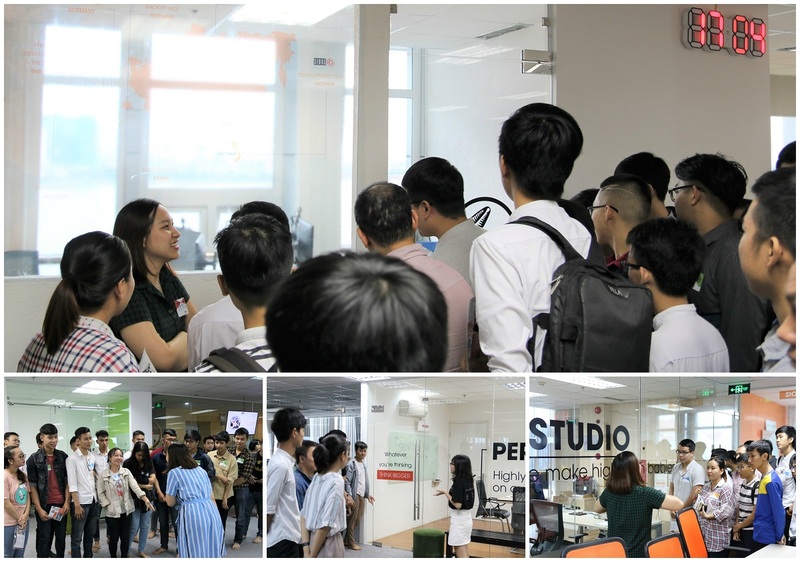 It was such a wonderful company tour that we all would love to take again, and hope to meet great attendees soon with new positions!